The Gym is open to everyone: competitors and non-competitors, male or female, young and not-so-young. We do prefer a minimum age of 12 years. Boxers in training for a bout are the coaches' top priority. We have all necessary equipment. Members are required to purchase handwraps and a mouthpiece . Gym equipment includes a variety of boxing equipment such as an 18X18 ring; heavy bags; speedbags; double end bags; uppercut bags; a weight room and treadmills. All individuals are different and progress at their own pace. All members will start at Beginner Level Workout (no contact until coaches agree that the individual is ready and competent for light contact). New members need to take the Saturday 2:00 pm walk-in circuit training classes ($10 - no appointment necessary) to become acclimated to the gym and to learn a beginner's workout before becoming a regular member. After that, they may come in as many times during the week as they wish. The purpose of The Portland Boxing Club is to safeguard and protect its athletes in the sport of amateur boxing, under the auspices of the USA Boxing, Inc., and to provide a wide range of Olympic-style boxing techniques and strategies for its registered athletes. The Portland Boxing Club is a 501 c (3) nonprofit organization and is available to all individuals. 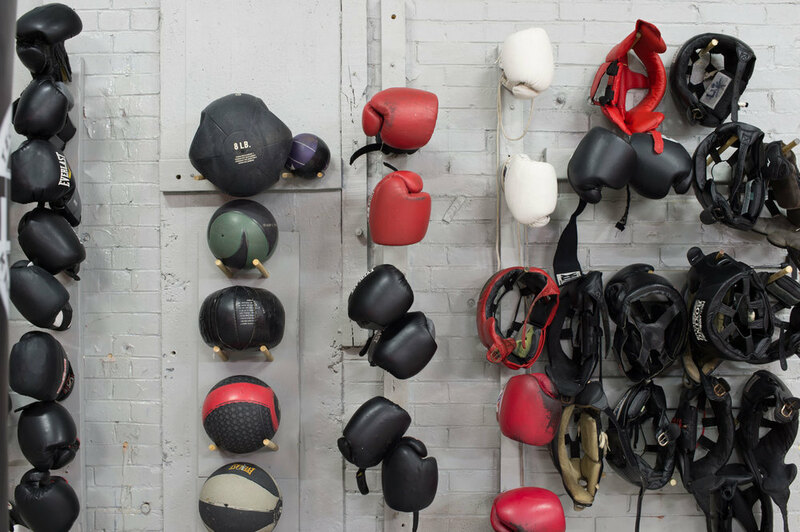 The Portland Boxing Club recognizes that most of its athletes come from underprivileged social and economic environments and, therefore, require financial assistance in order to become registered members. The Portland Boxing Club Board of Directors and its Board of Governors adopted the following statement: Under the auspices of USA Boxing, The Portland Boxing Club welcomes all youth and adults; it reaffirms its commitment not to discriminate on the basis of race, color, age, religion, gender, national origin, sexual orientation or physical disability in its programs and activities. Little Rock, Ark, Indianapolis, IN, Port Charlotte, FL, Mesquite, NV and Las Vegas, NV. Maine Life host Erin Ovalle throws some punches at the Portland Boxing Club with Lindsay Kyajohnian Francois, a past New England Golden Gloves Champion. In her talk, Liz Leddy describes her journey as a young woman: a high school dropout and aggressive street punk who found illumination of her life's purpose and healing through the sport of boxing. She attests to her strength to walk on through the personal destruction left in the wake of substance abuse, violence and trauma, along with the boxing techniques that led her to two national championships. Through a coach and a community, her life skills and self-knowledge were groomed, resulting in a miraculous victory over the dark life of addiction, homelessness, crime, and violence. Liz (2014) Story of Champion Boxer Liz Leddy - A troubled and homeless teen from Portland, Maine, finds salvation, peace and success when her street fighting leads to amateur boxing. Men and women find purpose at the Portland Boxing Club. Portland Boxing Club fighters have been doing very well in the early rounds of the USA New England Boxing Championships. Bobby Russo the Club's President and Head Coach told us what to look for when the Club hosts the tournament final on Thanksgiving weekend. 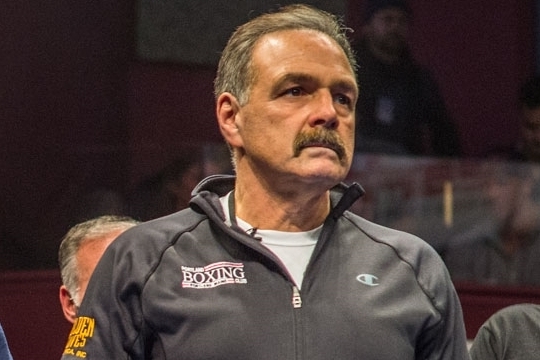 Back in 2003, 207 found out that to a lot of young people in Southern Maine the Portland Boxing Club is a second home and the man who runs it is much more than a coach. They got to take an exclusive look into what many people over the past twelve years have come to know as a salvation. Promo from Portland Boxing Club's 20th Anniversary in 2012.